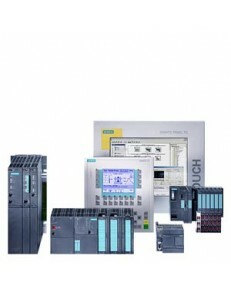 Product Article Number 6ES7398-8EA00-8EA0 Product Description SIMAT..
Siemens SIMATIC S7-300, MANUAL CONFIGURATION, CPU DATA, MODULE DATA, OPERATIONS LIST, PAPER VERSION,.. Product Article Number 6ES7398-8FA10-8BA0 Product Description SIMAT.. Product Article Number 6ES7398-8FA10-8CA0 Product Description SIMAT.. Product Article Number 6ES7398-8FA10-8DA0 Product Description SIMAT.. Product Article Number 6ES7398-8FA10-8EA0 Product Description SIMAT.. Product Article Number 6ES7398-8RA00-8AA0 Product Description SIMAT.. Product Article Number 6ES7398-8RA00-8BA0 Product Description SIMAT..